Be positive: If you are cheerful, smiling and come across as a happy person who has confidence and positive in attitude and demur, you’ll be able to make the best impression. Being a good listener: It isn’t about being a good talker that creates the right impression. You need to be a good listener and be interested in the other person that puts you in the right light. Being agreeable: It is best to be flexible in your attitudes and show empathy instead of being dominant and rigid. If you are open to new ideas and think out of the box, you will be accepted better. In a relationship, nagging and finding faults might not always work. 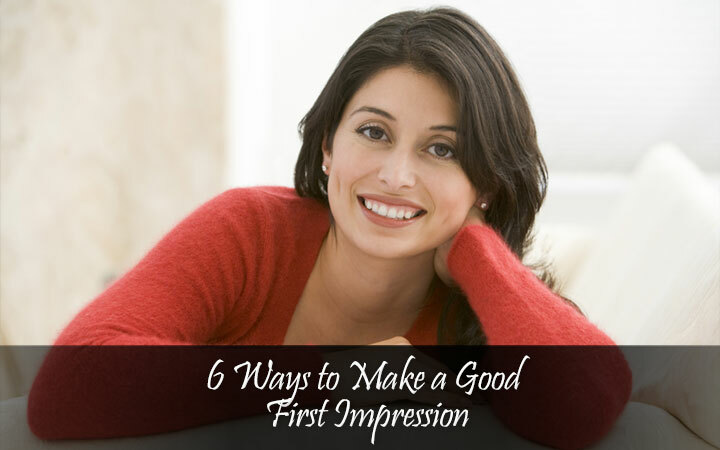 You create the right impression, when you are happy and agreeable. Being pleasant: Nobody likes being with a grouch. If you moan and complain all the time, you’ll be left alone quickly. However, if you have a happy disposition and love being pleasant, you’ll not just create a good impression, but will be the focus of friendships and have good relationships. Saying thank you: Saying ‘Thank you for spending the time with me’ can go a long way in showing how articulate and polite you are. Showing your manners is never out of fashion and shows the right bringing up. Thus, say Thank you and Please when needed. Acknowledging your flaws: Nobody is perfect and when you admit your weakness and be honest about your flaws, you come across as an honest person. This adds credibility to your personality, making you more likable as a person. « What Do Women Look For In Their Life Partner Selection?